Reuters: The shares posted a weekly gain as they edged higher marginally on Friday, pulling further away from a 17-month low hit earlier this week. 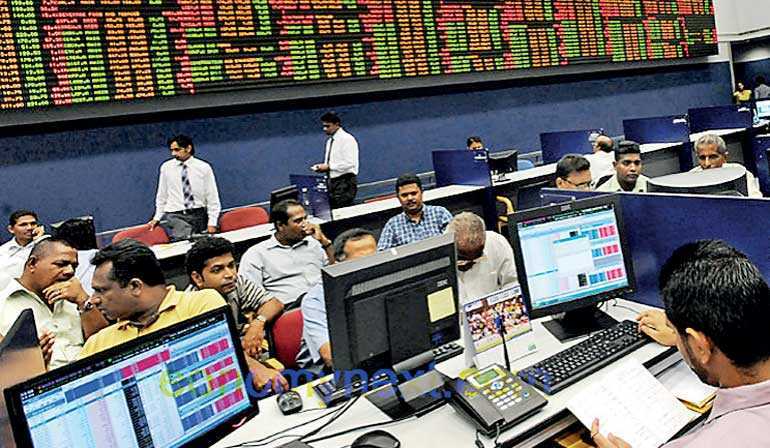 The Colombo stock index ended 0.06% higher at 6,080.26, in its fourth gaining session in 15. It rose 0.4% this week, marking the second straight weekly gain. The index, however, lost 1.1% in August, having hit its lowest close since March 2017 on Tuesday. The day’s turnover was at Rs. 639 million ($ 3.96 million), less than this year’s daily average of Rs. 813.3 million. “Gains are limited. There is a bit of profit-taking from local investors and foreign investors,” said First Capital Holdings Head of Research Dimantha Mathew. Foreign investors sold a net Rs. 99.9 million of shares on Friday, extending the net foreign selling so far this year to Rs. 4.2 billion worth of shares. Commercial Leasing and Finance PLC shares ended 8.3% up, while BRAC Lanka Finance PLC closed 17.9% higher. The Central Bank had left its key policy rates unchanged, as expected, on 3 August, citing its goals of stabilising inflation and fostering sustainable economic growth. The economy is unlikely to grow more than 4% in 2018, falling short of an earlier estimate of 5%, Central Bank Governor Indrajit Coomaraswamy said early this month.